While most special editions force people to pick up a gargantuan ordeal of a package to get the one goodie you want inside, Nintendo is doing something slightly different for Hyrule Warriors: Definitive Edition. 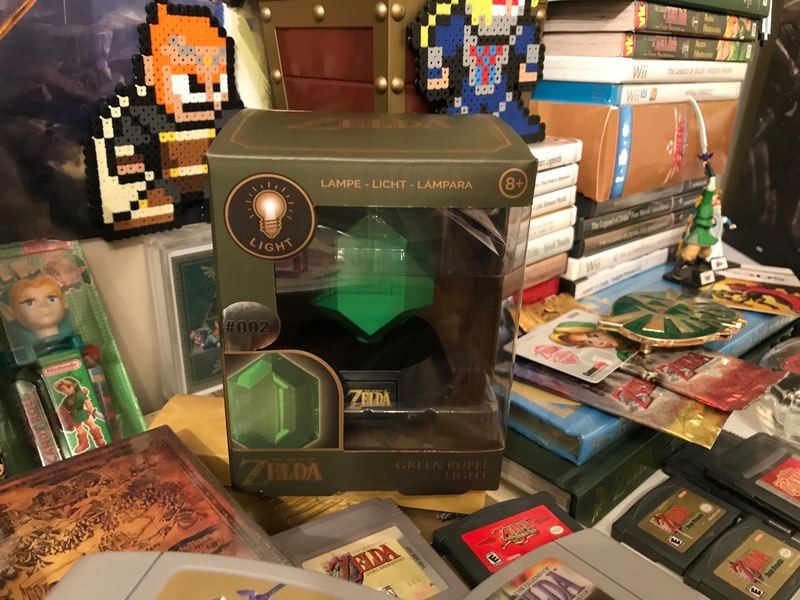 It's promoting a new Green Rupee Light either as part of a combo deal for Hyrule Warriors Definitive Edition (Switch), set to debut later in May, or as a piecemeal item. If you're opting to go with the latter strategy the light is out today, which includes both UK and US retailers. As far as the US goes GameStop still has them available, possibly in-store, as of today -- they're $15 each and you can get a quick look at one in the gallery below. I'm not sure I'm jazzed to play through Hyrule Warriors a third time all the way through (I'm talking leveling up characters and such), but getting a trinket separately is something I can get down with.